Band practice: that special time for every band to create and shape their sound in between cigarette breaks. New songs are developed, ideas are explored and discussions are had to dial in the perfect tone. As they say, practice makes perfect right? Unfortunately, the realities of actually practicing inside a practice space are often, uh, not good for practicing. More often than not, four or five overheated people are crammed into the biggest possible room the group can afford (often the size of a bedroom or two at most), and usually located inside of a warehouse. With only concrete and drywall for acoustic treatment within most spaces, the sheer volume of your band and its accompanying reflections might make it impossible to have a conversation, let alone work out a song. The awful muddiness created by the acoustics also makes judging the sound of what you and your bandmates are playing a frustrating guessing game. And the beauty of this specific kind of recording is that it can be as inexpensive as you wish. It doesn’t matter if your budget is $10 or $10,000, you can set up a functional recording rig for practices. Whether you are in a six-piece death metal band or an individual cellist, we’ve compiled multiple ways to record band practice that you can scale from simple note-taking to full-blown multi-track recordings – it’s all up to your needs and your budget. It is important to remember recording practice doesn’t have to be like recording an album, though it can be if you want it to be. The most important detail to wrap your head around is how to record the sound of an entire band or group of playing at live volumes. Depending on the size or makeup of the room you rehearse in, getting the details on every player can be challenging. If your band uses large amplifiers and your drummer beats the kit to death, one microphone on the entire band might not be enough to achieve clarity between performers. Whatever the situation, you will need a way to record many instruments at once, with as little bleed as possible to facilitate future mixing and accurate sonic representation. A stereo set of condenser mics in an X pattern — as far away from the instruments and as centered as possible — is a classic way to guarantee sonic separation and balance. Running the amplified instruments through a Direct Input setup, and vocals through a preamp and then bussed to a recording rig while the players listen on headphones, can minimize bleed and tighten the overall sound of the playing, despite not being a “true” representation of a live sound. Smaller amps are also a solution, but again, this might not accurately represent the band’s sound. Cell phone recording has come a long way since the days of flip phones, with smartphones of all types offering multiple free apps for audio recording. Not only that, but legendary audio companies like TASCAM and Apogee are making external mics that easily connect to your smartphone for superior recording quality in the field. Some of our favorite apps for your iOS device include RODE Rec, MTSR and iTalk Recorder, while Hi-Q MP3 Voice Recorder and StudioMini are two of the best multi-track recorders for Android. You’ll be amazed at the flexibility these apps offer for recording, and the files you record can easily be uploaded to your laptop or computer for further editing. External mics like the TASCAM iM2, Blue Mikey Digital and Apogee MiC offer high-quality sound with the convenience of recording on your phone. The Tascam iM2 combines two high-quality condenser mics to work much like a field recorder. The Blue Mikey Digital is a stereo condenser mic that offers the fidelity of much more expensive microphones. 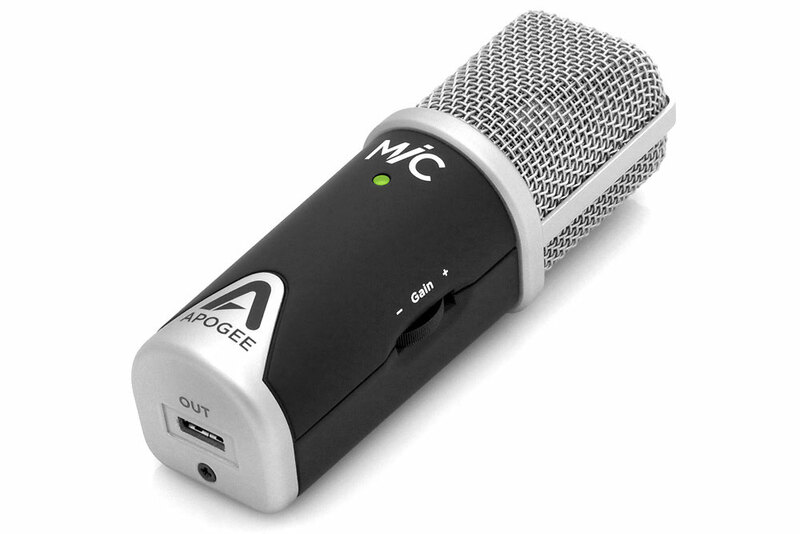 And the Apogee MiC is a stand-alone condenser mic with a built-in USB output. Field recorders offer high-quality digital sound in a portable package, making them ideal for recording practice. Some recorders, like the Zoom H4n and Zoom H2, Sony PCM-D50 and Sony PCM-M10, and Tascam DR-07 offer multiple microphone configurations to isolate sound as well as built-in customizable parameters like pitch control and effects that are ideal for recording music. Overbuilt and rugged, these field recorders are great for taking on the road. While battery power has been a concern in the past, the newer generations of field recorders offer exceptional battery life, often from only two AA batteries. Pick up extra memory and you’ll be able to record as much as you’d like while being able to transfer the files to your laptop or desktop editing system. Maybe one of the least considered but most effective methods for actually enhancing a band’s performance is to record practice with a video camera in addition to a recording device. You can watch yourself and hear yourself in minute detail – for better or worse! A simple setup is a wisely-positioned smartphone that you can record video on, though the sound will not be up to par unless you use an additional external microphone like those mentioned earlier. Two awesome units that combine audio and video recording are the Zoom Q2HD or Zoom Q3HD. These highly-portable units offer excellent HD video recording with professional quality audio, making them perfect for recording band practice. 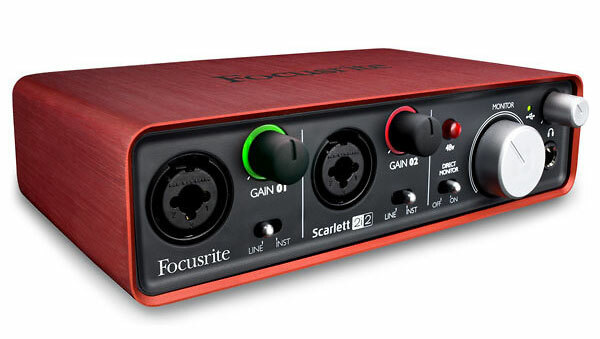 If you have an actual video camera, running the external microphone through an interface like the Focusrite Scarlett 2i2, and into a laptop is an easy setup and will get you high-quality, editable results. Stand-alone multi-track recorders, like the TASCAM DP-006, TASCAM DP-008EX, or Zoom R8, Zoom R16 and Zoom R24, combine studio-style flexibility and multi-track recording possibilities into a convenient stand-alone package. They aren’t even that expensive! 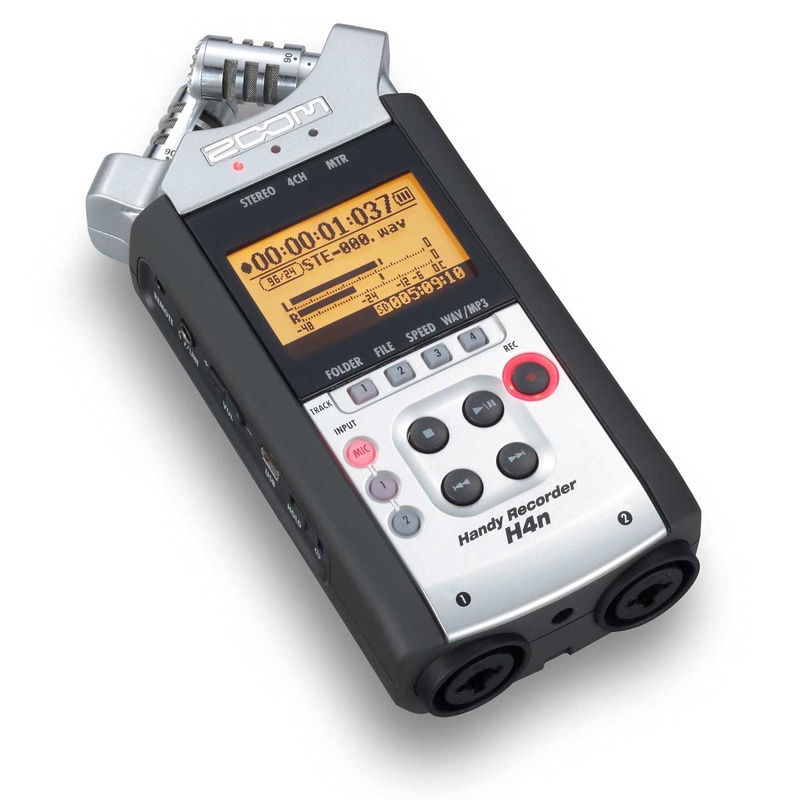 Units like the Tascam DP-006 and Zoom R8 even offers built-in condenser microphones for even easier recording. For even more features, Zoom’s R-series offers certain model-dependent features like sampling, on-board effects, beat creation and built-in microphones in addition to multi-track DAW functions. Sturdy, easy-to-use, easy to find, and easily transferable to digital, cassette recorders can be an affordable way to record practice. 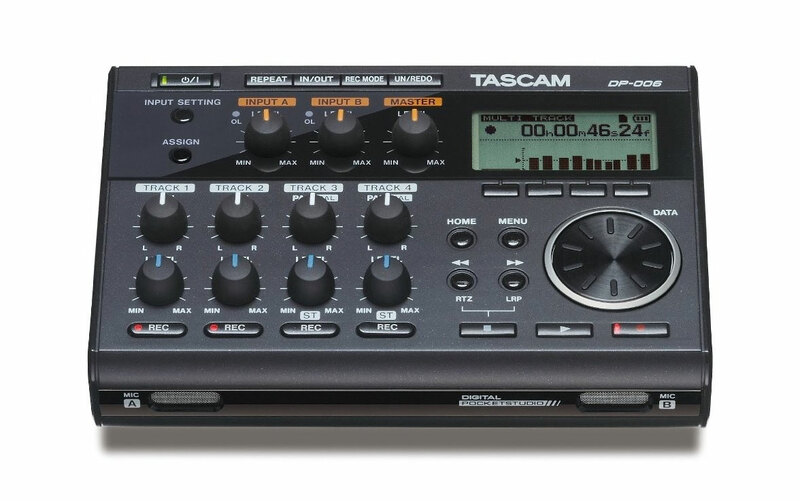 Cassette recorders come in a variety of styles, from stand-alone rack-mountable units like the TASCAM 238 8-track cassette recorder, to portable multitrack studios, like the legendary TASCAM Portastudio series. Stand-alone and rack units allow users to connect them to any recording rig and send playback out to a digital or analog interface. Some of these units have become collectible, particularly the TASCAM Portastudios, but smaller, less-versatile units, like the TASCAM Ministudio or Yamaha MT50 are affordable. The easiest way to get your practice into a digital environment where it can be edited and shared is without a doubt a simple laptop rig. 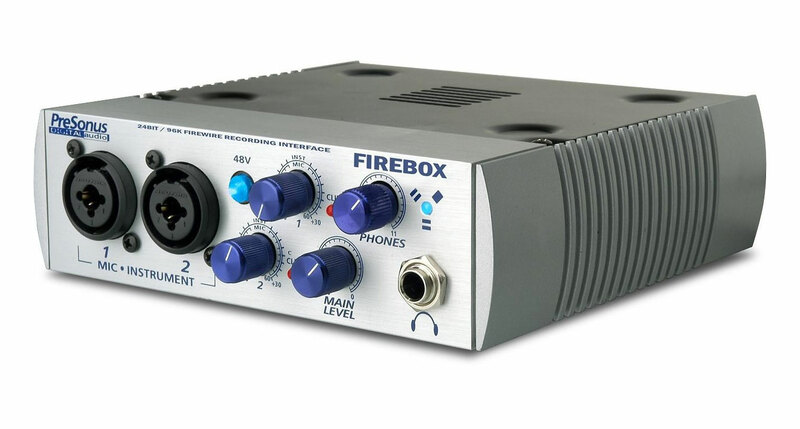 Plug your instruments directly into the PA and then send the signal through the line out to a simple digital interface, like the Presonus Firebox, then into a FireWire connection and into a program like Cubase or Garageband, or even a free program like Audacity. This process allows for a very clean and manageable practice recording. If your space has enough room, setting up two condenser microphones in an X pattern towards the center of the space can print a highly-listenable recording. If you happen to own a professional recording rig or have a studio to practice in, a traditional multi-track recording rig of any format can of course be used for recording practices. Older ProTools Digi 002 interfaces are cheaper than ever, and laptops and computers can readily be connected through FireWire, so assembling a traditional mixing board and bussing the mic’ed or DI’ed band into the interface and into editing software can be an affordable and flexible way to record band practice. Clever bands can even use their practice recordings as foundations to overdub additional parts to create a full-fledged recording. DI all guitars, send the vocals into a preamp, place a condenser mic above the drum kit to create a basic sound and then send signal out through the cue system if there isn’t enough room to properly isolate the instruments while performing live. If you have baffling or isolation rooms, then record the instruments live as if you would a recording session.